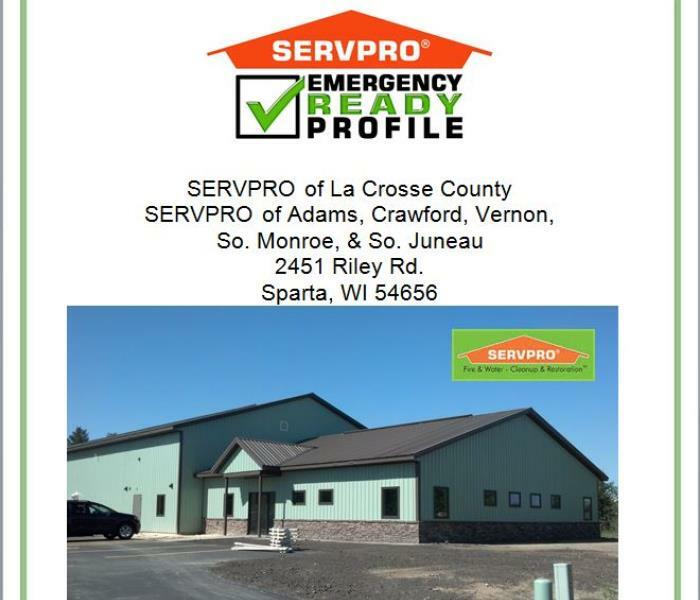 Since 2007, SERVPRO of Adams, Crawford, Vernon, South Monroe & South Juneau has been helping the people in our community with their fire, water, and mold cleanup needs. With over 1,700 locations across the United States and Canada, we are here to help restore your home or business in the event of a disaster. Our goal is to help minimize the interruption that a disaster can cause in your life and quickly make it "Like it never even happened." Our owners, Vince and Cathy, moved to the area because they saw a need. Vince had worked for thirty years in the automotive industry with his father and Cathy had worked with SERVPRO of Muskegon. They moved their family on a Friday in June and received their first fire job the following Monday. They worked tirelessly with their sons to get the business up and running. Throughout all this time, though, customer satisfaction is still their top priority and the job is not complete until the customer is happy. Most of our team members grew up and have raised their families in the area. Our children attend the schools and play sports. We are all invested in the future of our community and our goal is to serve the people, businesses, and organizations in our community. Our motto is "Like it never even happened." We have worked endlessly to uphold this reputation to be the premier restoration provider. We believe in the proven services that we provide and look forward to working with you.